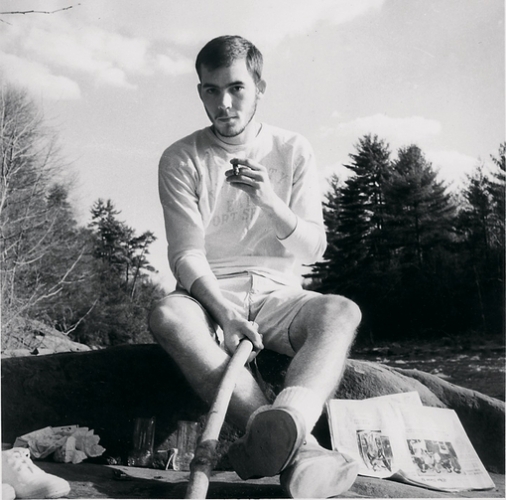 While Hunter S. Thompson has undoubtedly become a legend all his own, as a writer he most certainly read tons of books from fellow authors and influences.Here, I’m going to provide you a list of ten books which Hunter has read, reviewed and/or enjoyed, which I discovered upon reading his novels like Proud Highway and Kingdom of Fear.1. Lie Down in Darkness – William StyronLie Down in Darkness is the 1951 debut novel from William Styron. It was written when Styron was 25, and many consider it a masterpiece. Having read the book myself, I can tell you that this is a must-read for anyone interested in the subjects of family dynamics, madness and suicide. Hunter mentions in Proud Highway regarding Styron’s work, “This man is a writer!” and in Fear and Loathing in America calls it “one of the best books in English.” He wrote to Styron asking if the author could recommend a literary agent, and Styron actually wrote him back. The Doors of Perception is the 1945 book written by Aldous Huxley concerning the new discovery of a psychoactive drug called mescaline. He takes the title from William Blake, and several since then, including Thompson, had been influenced to use the drug recreationally. Specifically Hunter describes his “mescaline binge” in Fear and Loathing in Las Vegas. He also references it in his letters of correspondence to Oscar Acosta. Published in 1925, The Great Gatsby has become an American classic. In particular, the novel focuses on the American Dream, and whether or not it still exists. About 45 years later, Thompson addressed this same issue in his magazine articles and finally in his novel, Fear and Loathing in Las Vegas. When given the assignment to work on a novel based on the American Dream, Hunter struggled immensely until finally turning his research into what would become Fear and Loathing. The Great Gatsby itself was one of Hunter’s long-time literary favorites, and F. Scott Fitzgerald’s work was one of many novels that Hunter would rewrite word-for-word in order to get a feel for the writing style of its author. A Farewell to Arms is the 1929 novel from Ernest Hemingway. Along with The Great Gatsby, Thompson used what money he had to get a typewriter in order to rewrite Hemingway’s work, as Thompson considered him to be one of the greats. Later in life, he would write a tribute piece regarding Hemingway’s death (or rather, suicide,) and eerily years later, Hunter would commit suicide in the same fashion as Hemingway; with a shotgun in mouth. While it may be surprising that a man like Thompson would read the Bible, you should remember that the author appreciated any good piece of writing, whether or not he considered it fact or fiction and whether or not he was a “holy” man. Specifically, it’s my belief that Hunter took to the Gospel of John, especially in consideration of the fact that the single word typed on his typewriter before he committed suicide was “counselor.” The Gospel of John mentions this “counselor” as being someone who will be with you and who will keep you in the company of the truth no matter how much this truth is hidden from the outside world. As a man of the written word, and a firm believer in the revealing of truth no matter how harsh, this clearly is fitting to Hunter’s persona, and the type of treatment he’d hope to receive after death. The Ginger Man is the 1955 novel from J. P. Donleavy that takes place in Ireland, and was initially banned in the US and in Ireland upon its publication due to strong obscenities. Hunter read the book while living in New York City, and related highly to the novel’s main character (although Hunter was certainly a gentleman whether or not he tried to be.) Interestingly, Hunter’s friend Johnny Depp was asked by Donleavy to work out a film production based on the book, although as of 2009 no concrete progress has been made. A Fan’s Notes is the 1968 novel from Frederick Exley. Hunter mentions it in his novel Fear and Loathing in America, saying “there is something good and right about it, hard to define. He’s not a ‘good writer’ in any classic sense, and most of what he says makes me feel I’d prefer to avoid him… but the book is still good. Very weird. I suppose it’s the truth-level, a demented kind of honesty…” Even though this description may be lacking obvious praise, it’s clear some of the book’s qualities appealed to Hunter. 1968’s The Electric Kool-Aid Acid Test is Tom Wolfe’s infamous account of the travels and times of Ken Kesey and the Merry Pranksters. With their LSD trips and psychedelic music, the lifestyle of the Merry Pranksters became a staple and symbol of life in the 60s, and having also lived through this decade, Hunter could surely relate. He wrote segments of Hell’s Angels around the relationship of the Angels and the Pranksters, notably the Prankster’s introduction of LSD to the Angels. Wolfe and Thompson would also become friends through their love of writing and observation of culture around them.